Hey y'all! I know I have been gone "a hot minute," as people say nowadays to express their brief absence. I have visited my blog almost daily since I wrote my last review, but had no energy left to write something. Well, today I decided to just go for it. 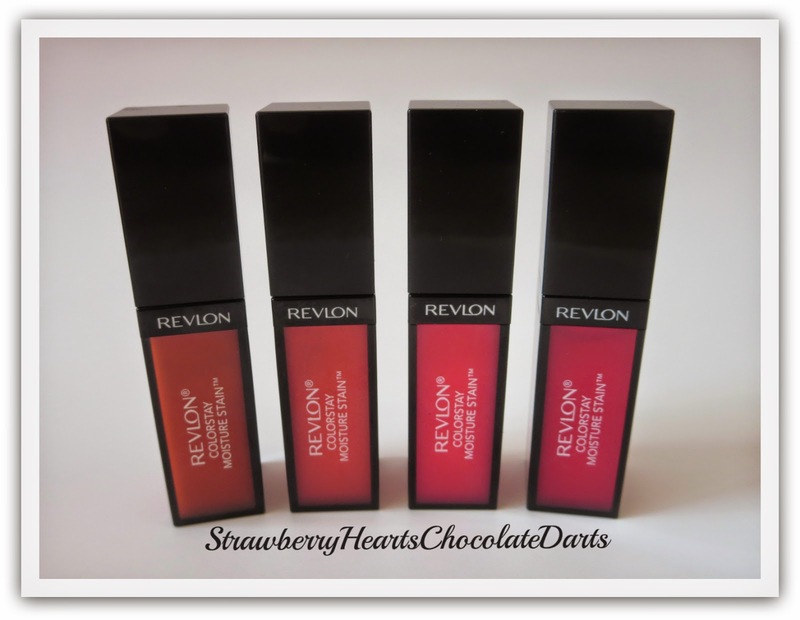 The new liquid lip colors from Revlon called the Colorstay Moisture Stains are some of my favorite lip products at the moment. So, I suppose I just gave away the happy ending here. I have been anxiously waiting to write my review of this product because I am very pleased with it. So, let us get on with it. This collection has quite a few shades - bright to vampy shades. The four I chose are absolutely beautiful and give off a tropical vibe. 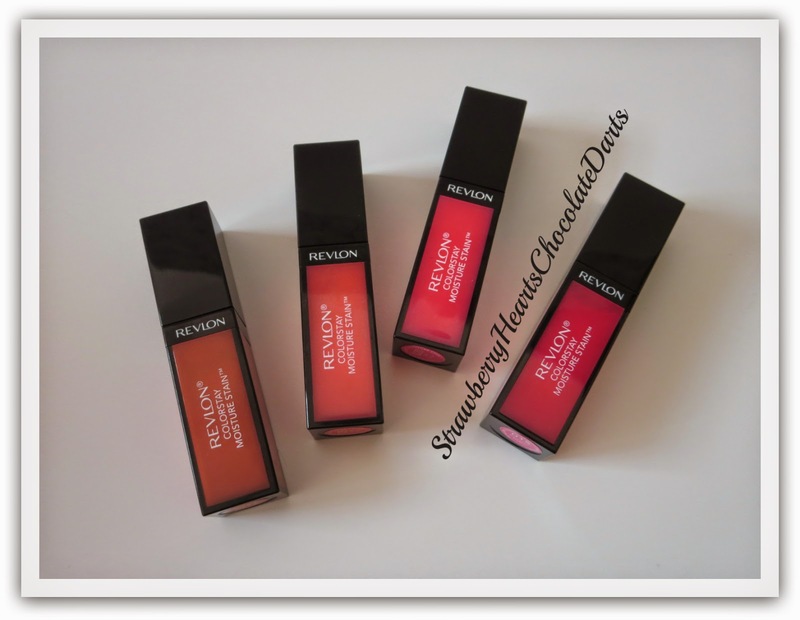 Having as many lip colors as I do, I did not really feel the need to try any of the Revlon Moisture Stains. When I first caught a glimpse of this new lip product collection on the web, the color selection did not seem to be anything to be excited about. My lack of desire to try these was strengthened by the reviews I read and heard. I observed that other beauty bloggers were not swept off their feet by this new product release. Some said that the colors were common, other complained that the application was patchy. The first shade I tried is called Barcelona Nights. I will admit that when I first applied this shade, I experienced the patchy texture and almost gave up on the product. The product looks like mousse (or a spongy-liquid?) when you first swipe it across your lips. My advice is to melt the product by using the applicator to smooth out the product. Do not pick up and apply more product with each swipe, but simply continue to swipe the applicator across your lips two or three times. Trust me this does not take up much time. So, before you huff and puff and complain that you don't have time to smooth out the product, just think about it. C'mon, life does not have to be so fast paced! To my surprise, Barcelona Nights transformed from a bright shade to a deeper shade in the course of the wear and eventually faded into a natural stain, meaning my lips' natural pigmentation deepened. I did not experience this staining effect with the remaining three shades. Therefore, I am sorry to say, but the lasting power of the Revlon Moisture Stains is below average. I do find the need to reapply this product throughout the day, especially after eating or drinking. However, this factor does not discount my overall impression of this product. Why? I am quite fond of the formula and texture. The Moisture Stains feel as if you are applying water or a cooling (not medicinal, not minty) gel-like substance to your lips. 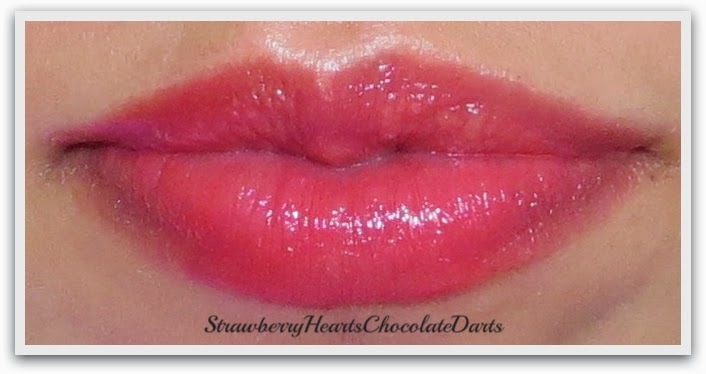 It is difficult to find a liquid lip color that is richly pigmented, yet lightweight and not sticky. In addition to feeling lightweight, this product is moisturizing. Yes, I said it! Of course do not expect this to be a treatment for chapped and dry lips, but this lip product does make my lips feel soft and smooth and look hydrated. 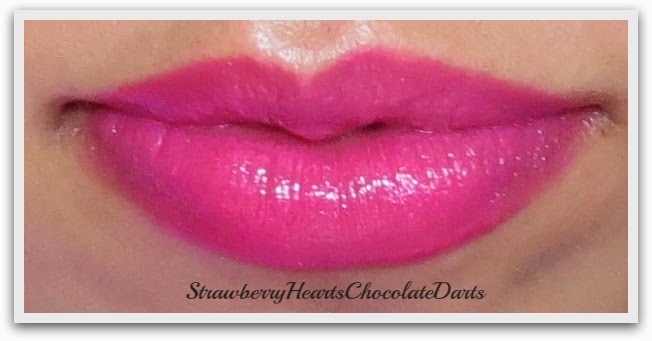 Often liquid lip color can absorb the natural moisture of your lips and this does not. I would like to note that I am more fond of the formula and texture of the Revlon Moisture Stains than the L'Oreal Extraordinaire and Maybelline Color Elixirs lip colors. By no means am I implying that I dislike the L'Oreal and Maybelline versions of a lip-color-gloss-balm hybrid, but I have been using the Revlon Moisture Stains more often. In my opinion, the main difference between the Revlon Moisture Stains and L'Oreal Extraordinaire or Maybelline Elixirs is that the latter two of the three versions feel oil-based and more emollient, while the Revlon version feels watery. 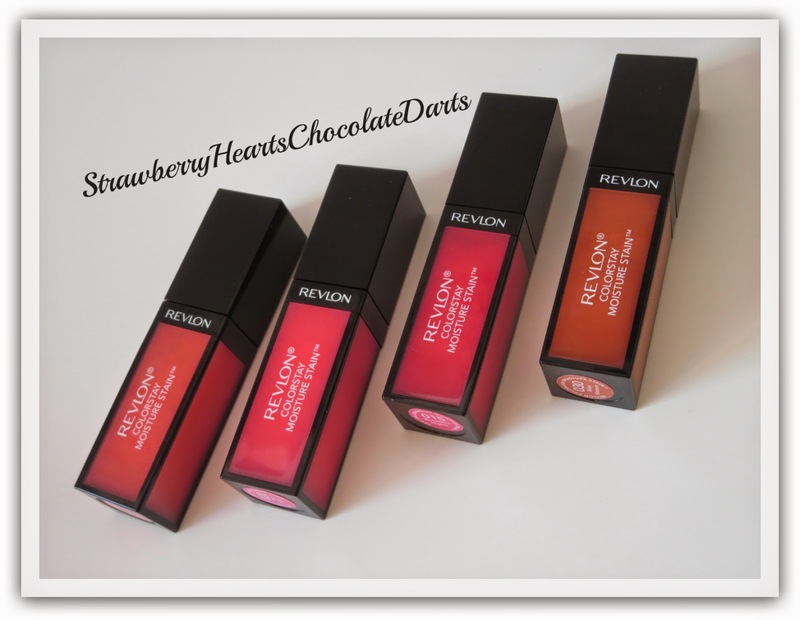 The Revlon Moisture Stains are an excellent and affordable alternative to the new Dior Fluid Sticks (review coming soon). 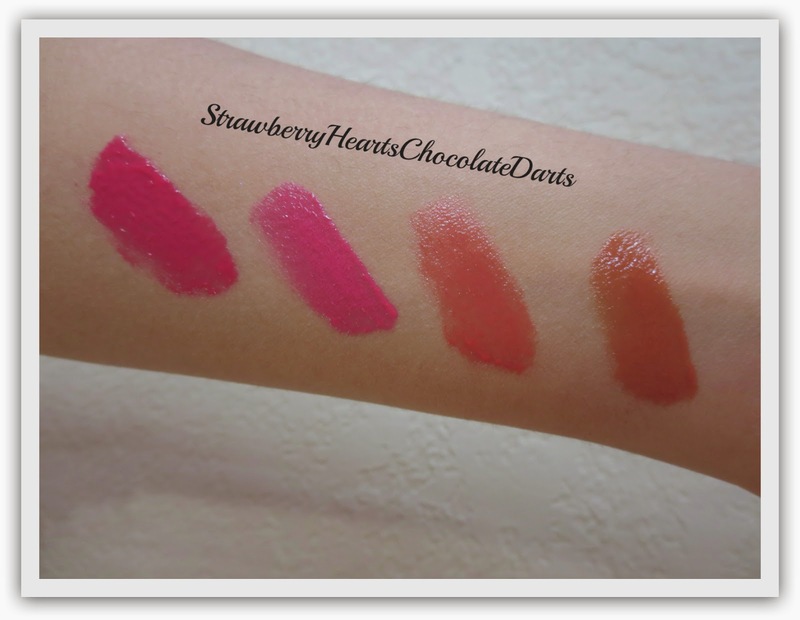 I would also recommend the Moisture Stains as an alternative to the Lancome Lip Lovers lip colors I reviewed in my previous post. Milan Moment is my favorite shade to wear to work these days. 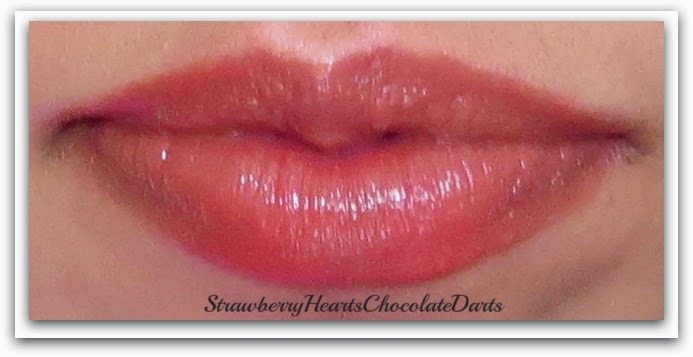 It is a muted, conservative option for those of us infatuated by the current orange lip color trend. This shade is a sheer, light orange with a warm brown undertone. Cannes Crush is slightly similar to Milan Moment, but different enough. I would describe it as coral with dominant pink undertone balanced with a recessive orange undertone. Rio Rush is a bright, electric, neon hot-pink with blue and lavender undertones. Barcelona Nights is a bright magenta shade or, in other words, a pinkish red (not deep or purple enough to be a fuchsia or berry shade). I will not delve into the packaging, except to mention that I like it. I think it is eye-catching. The tube is somewhat transparent, but tinted. The tube is tinted externally with the same shade as the product inside, yet you can still see the product inside through the plastic. The packaging does not look cheap. I almost always like Revlon's packaging designs. The name of the brand, product, and shade are clearly stated. Lastly, I want to make an observation regarding the scent of this product. The scent is not at all overwhelming and is reminiscent of the scent of the YSL Glossy Stains. It is a treat to find a drug-store lip product that does not have a typical cosmetic chemical-artificial-sweet smell. Glad to see you back love! This was a great review! My Ulta has the whole collection kid of hidden and it is untouched, so I contemplated picking these up but knew you were going to review them! Now I know I want at least two, but I just have to decide on colors! The formula sounds amazing, and I totally get what you mean by 'melting' it on the lips, which I tend to do anyway because I just like the feel of applying lip products in general. I think I like Barcelona Nights the best...hmmm...anyway hope all is good with you!! I love Barcelona Night on you!